It may seem like a simple question, but the way you play the miles game pivots on this one number. How you value miles will affect the price you’re willing to acquire them (implicitly or otherwise), and what you’re willing to redeem them for. To put it another way: if a merchant wants to levy a 3% surcharge for using your card, is it worth paying? If your bank charges a 2.5% foreign transaction fee, is it worth using your card overseas? If you get 10,000 miles when paying a $200 annual fee, is it a good deal? If your airline allows you to spend your miles at 0.66 cents each, is it worth it? You can’t answer these questions unless you know how to value a mile, and that’s what we’re going to explore in this article. For the purposes of discussion below, we’ll be referring to KrisFlyer miles. Miles from different frequent flyer programs may be valued differently. Here’s an example of how this is calculated, based on a round trip ticket to Paris on Singapore Airlines. You’ll notice that the value of a mile increases as you move up the cabin classes. This is simple arithmetic- the numerator (price) is increasing at a faster rate than the denominator (miles). Business Class cost 138% more money than Premium Economy but only 36% more miles. 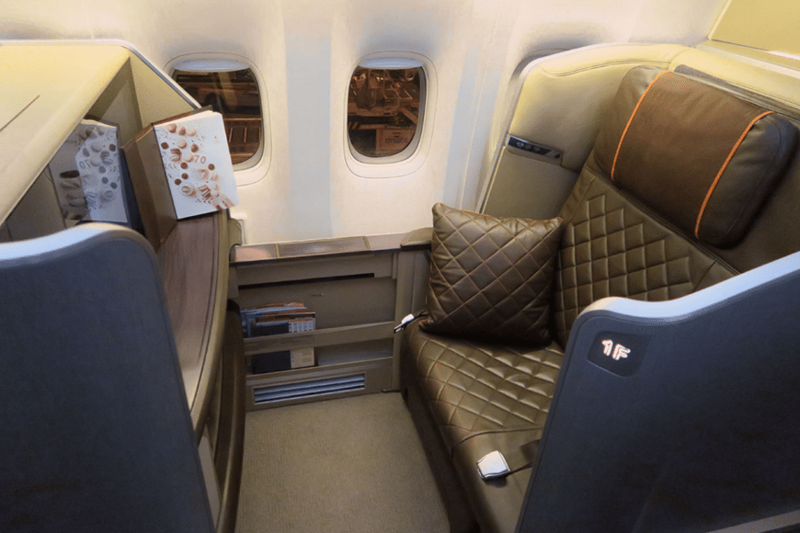 First Class costs 110% more money than Business Class but only 35% more miles. Indeed, this general rule forms the mantra of many a miles collector: if you’re going to redeem your miles for economy class travel, you may be better off with a cashback card. The theoretical value is a good starting point for our valuation of a mile, but it cannot be the end. Does anyone notice any problems with the calculations above? Although the formula is mathematically sound, I’ve made some simplifying assumptions that don’t always hold true. 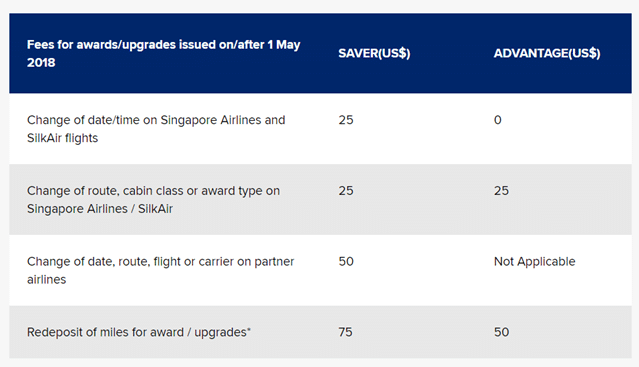 Singapore Airlines has two types of awards- Saver and Advantage. Saver awards cost less, but have less space available. Advantage awards about 70% more on average, but have more space available. In my theoretical valuation, I’ve used Saver award pricing when considering how many miles are required. But those of you who have attempted to redeem tickets before will know that Saver awards are not always available, especially during peak periods and when you’re trying to redeem multiple tickets. 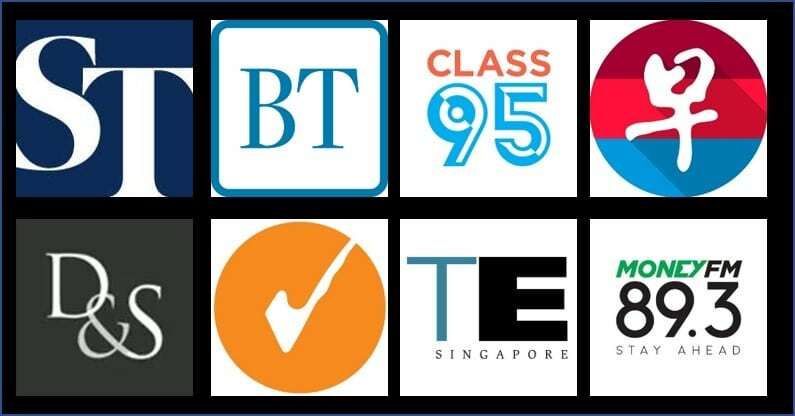 On popular routes like Singapore to London or Singapore to New York, only Advantage awards may be available. That’s a pretty hefty cut in valuation! With Saver awards, our miles are valued anywhere between 1.5-6 cents each. With Advantage, our miles are valued between 0.8-3.3 cents each. In reality, you’ll need to come to some weighted average figure based on how often Saver awards are available. That’s too technical for this article, suffice to say our valuations based on Saver awards are probably overestimates. Award tickets do not earn miles. Revenue tickets do. When I redeem an award ticket instead of buying a revenue ticket, I’m forgoing the opportunity to accumulate miles. That carries with it a cost, which we need to factor into our calculations. For simplicity’s sake we ignore that value in our calculations, but it’s still worth noting as it reduces your valuation of a mile. Revenue tickets, on the other hand, may or may not allow you to make changes and cancellations. If you purchase the cheapest fare bucket, known as “Lite” tickets, and can’t travel for whatever reason, you’re fresh out of luck. On the other hand, if you book an award ticket but can’t travel, you can cancel your award ticket for a small fee. This flexibility increases the value of an award ticket, and therefore your miles. How much does it increase? Only you can answer that- it depends on how much you value flexibility. Here’s the kicker for me: our theoretical valuation has taken the value of a mile based on the retail price of a ticket. Conceptually speaking, that’s not the right way of looking at value unless I’d have been willing to pay that out of pocket. Are you willing to pay 5 figures for this? When I first started playing the miles game, I’d tell people very proudly “I just saved $10,000 by redeeming my miles for a First Class ticket” and allow them to bask in my warm, enlightened glow (mind you, this is how a lot of bloggers pitch stories to journalists because “YOU WON’T BELIEVE HOW THIS MAN GOT $20,000 OF AIR TICKETS FOR FREE” is a heck of a lot more attention-grabbing than “Man meticulously plans vacation through intelligent use of frequent flyer programs“). But there’s an implicit assumption in what I’m saying. I’m saying that I’ve saved $10,000 by using miles, which is incorrect unless I’d have been willing to pay $10,000 out of pocket! So our theoretical valuation definitely overvalues our miles. If you weren’t able to snag an award redemption, what would you next best alternative be? That’s a conceptually more sound approach at looking towards valuation. That’s a lot to think about, but I hope it’s showing you how the valuation of a mile is more art than science. Some of these factors are more philosophical than mathematical. How much do I value flexibility? What would my next best alternative be? I’ve not even started to talk about the opportunity cost involved in earning miles (e.g. forgoing cashback, dining discounts or bonus interest with certain saver accounts)! So, how do we value a mile? I personally value miles at 2 cents each. PointsHacks values them at 2.1 Australian (2.06 cents) each. How you value miles is inherently linked to the kind of traveler you are. People who believe in saving money above everything else will value them lower, because miles are “free” (assuming you don’t pay explicitly for them). That’s why they’re willing to redeem economy class tickets. People who believe in accessing experiences they couldn’t otherwise have afforded will value them slightly higher, because they’ll invariably redeem them for business or first. And people who buy First and Business Class as a matter of practice anyway will value them the highest, because to them it’s simply a replacement mode of payment. So that’s my take on the valuation of a mile! Not sure when this article was written but it was definitely a good read. On the technical side, I am curious about your thoughts on miles devaluation i.e. SQ decides to up the miles required for an award ticket. I see/hear airlines doing this quite a lot… what has been SQ’s pattern so far? hi JT- I wrote this article way back when the site got started. looking back, I wonder if I was a bit overgenerous with my valuation. when i read what the laojiaos have written on this subject, the consensus seems to be that krisflyer miles are worth 1.6 US cents (2.2 SG cents) each, versus the 4-5 cents I’m claiming. I think the reason for the discrepancy is this- expected value. If you can always redeem your miles for business or first class saver travel, you will always get at least 4 cents of value per mile. But that won’t always be the case. sometimes you will have no choice but to fly economy. Sometimes business saver will just not clear and you will book business standard just because you’re desperate not to spend a long haul red eye in economy. So you need to factor in some sort of probability calculation that says how often will i be able to redeem at 4-5 cents of value. I think when you do that the value comes down somewhat (whether it’s 2.2 cents I don’t know, but it will be lower than 4-5). Of course, if you redeem for first class saver 100% of the time, then you should be valuing your miles at 6-7 cents each. the fundamental principal is that you value your miles depending on your redemption pattern. My quandary is that I thought it seems like a bargain to earn 100% miles for $750 (flight to Europe); on the other hand, I’m afraid with a possible KF devaluation, my miles will drop in value the longer I wait to redeem them. not sure how i missed this but i hope it’s still relevant to you. KF devaluation has come and all is well for now. i’d definitely redeem if you’re able to find saver availability to europe. I want to run our campaign with you. Please reach to me asap. Very good article, thank you! Didn’t ever consider using miles to redeem premium flight tickets, aka Business or First class. But when you put it into perspective, yes, I too agree that it allows me to maximise the value of my miles and I would rather now choose to buy premium class over economy flight tickets. glad that you’ve seen the light! Excellent article; love the passion portrayed; especially around buying cheap vs buying an experience. After all, good experiences are cherished for life! Hi. I’m new at this whole business of redeeming miles and hope you can advise me please. I recently redeemed a one-way business saver ticket from SIN to TPE on EVA Air for 27500 miles + $164 fuel surcharge+taxes. The flight currently costs $1844 on EVA Air’s website. Qns 2: Is this considered ‘worth it’? Another BIG advantage for business class flyers is that, often, a “mileage one way trip” costs only 1/2 of the miles needed for a round trip. While for paying tickets a business one way trip is always quite expensive because always without discount ( business class round trips, while not cheap, are sometimes reasonably priced because discounted). So if someone wants to have an open gap in a business class ticket, it is usually a very good deal to get 2 one way trips (often on different airlines serving different cities in the same country). If one can reserve them in advance it ends up much much cheaper than buying a full fare business “multi cities” or “open gap” ticket. F.D. This is a good article. It helps to put everything into context. Eg. I subscribe to your valuation of 2 cents per mile. I’m using Citi Prestige too. So for my overseas spend, I’m getting 2.0mpd, which equates to 4 cents per dollar. That’s equivalent to a 4% reward (indirectly). Definitely crushes all the cash back cards out there. Meanwhile, I noticed that this article was written in 2016. Are the redemption rates updated for 2019…? Did you factored in the foreign currency transaction fee of 3% ? For foreign currency spendings, you are actually “buying” miles at 1.5cts per mile (3cts divide by 2 miles). If you value the mile at 2cts, your actual reward is 0.5cts.